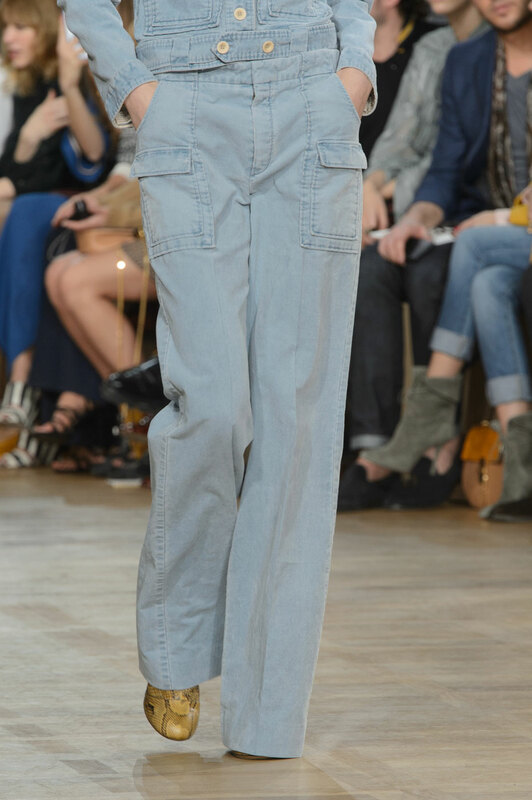 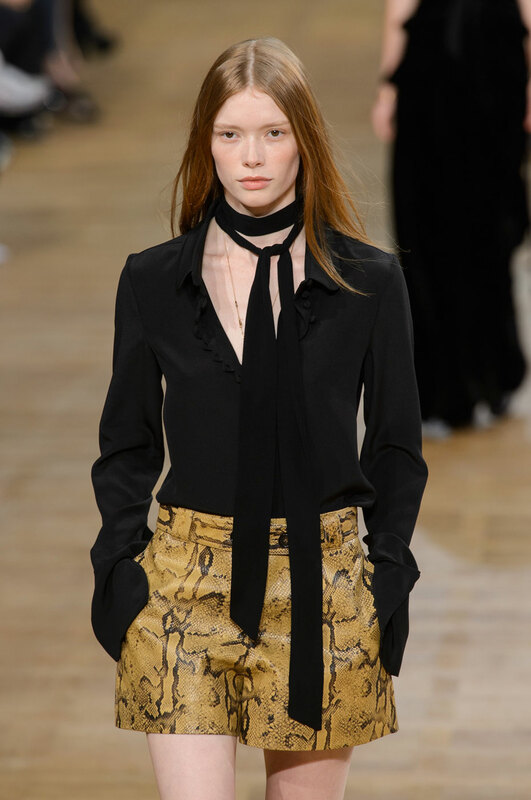 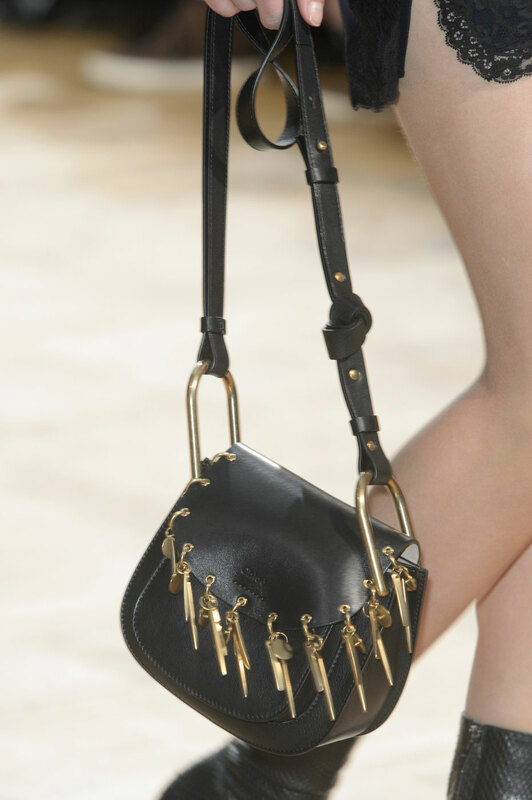 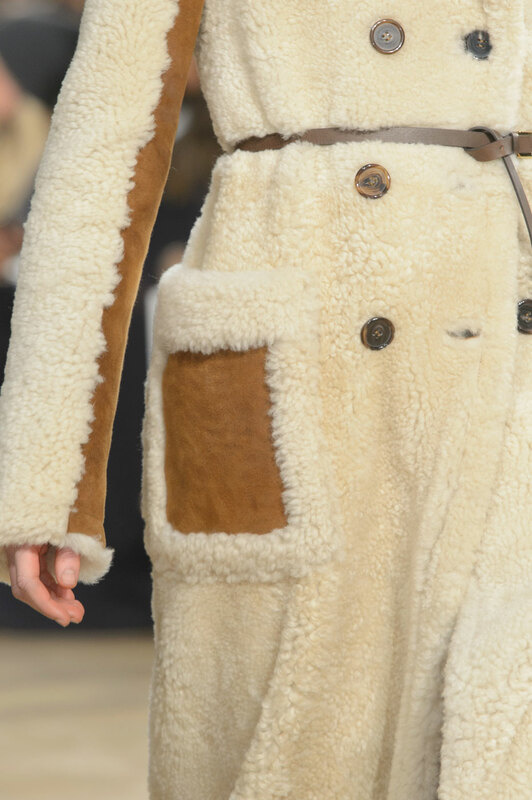 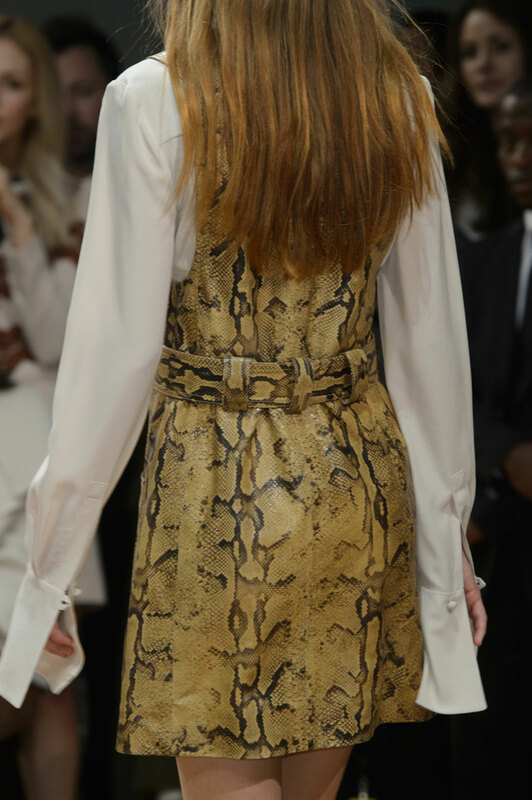 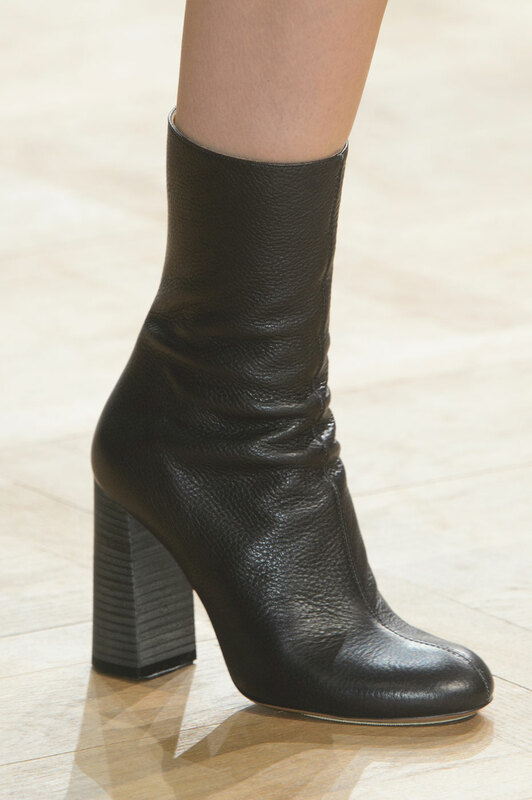 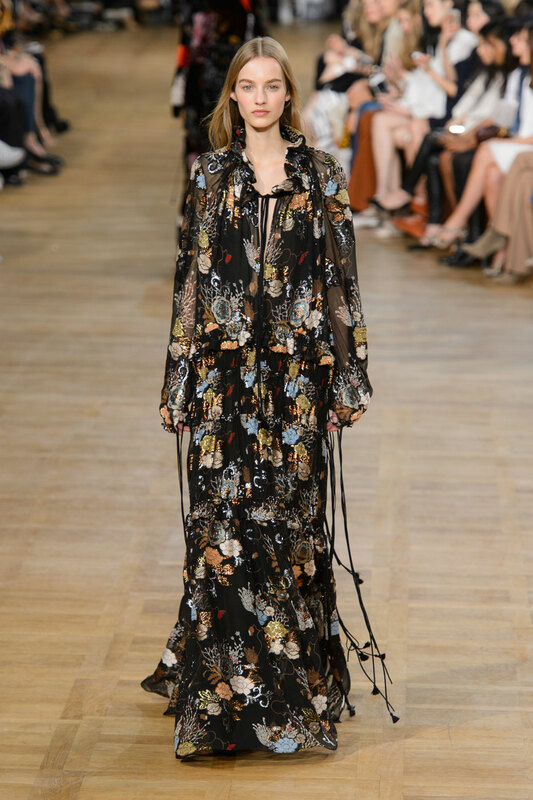 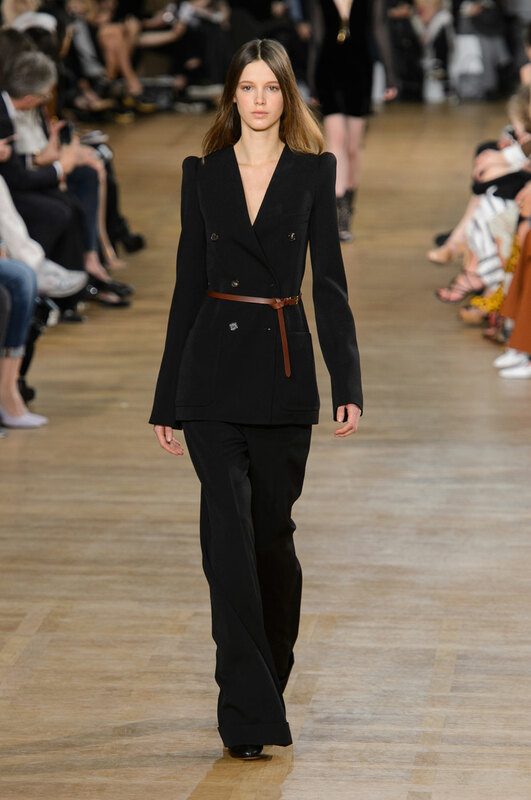 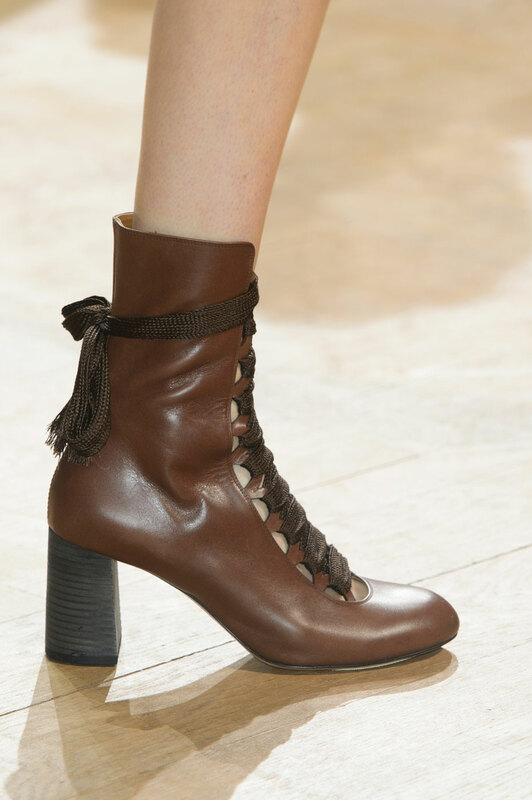 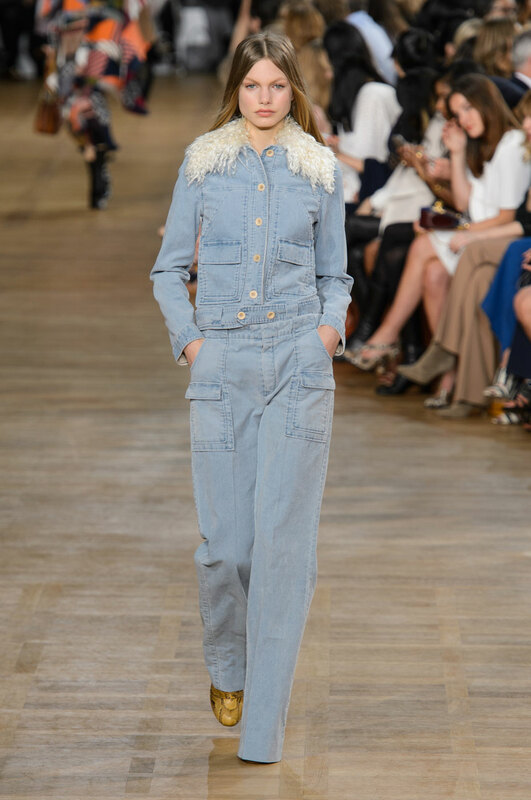 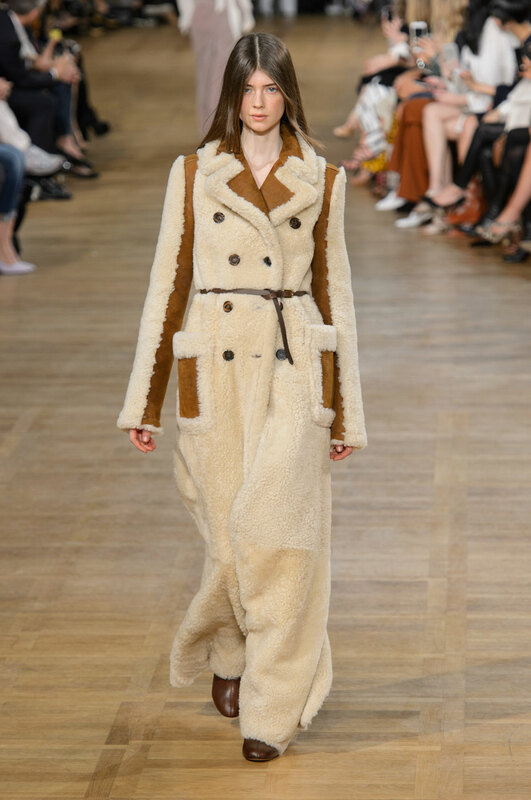 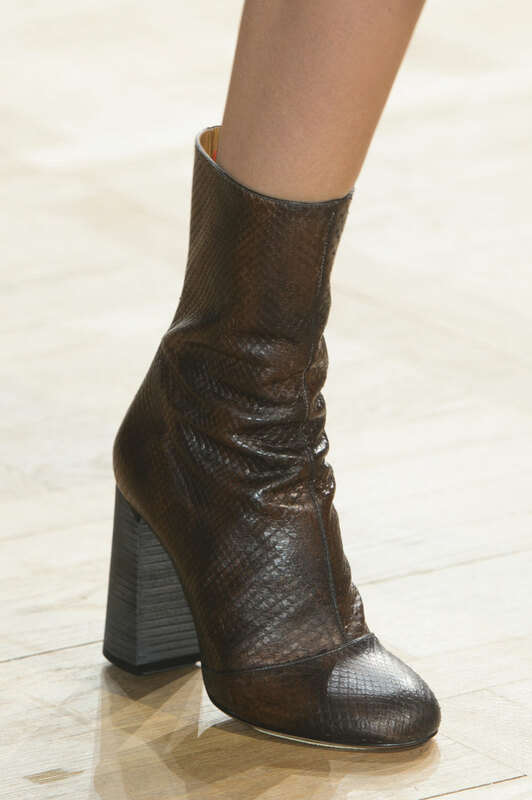 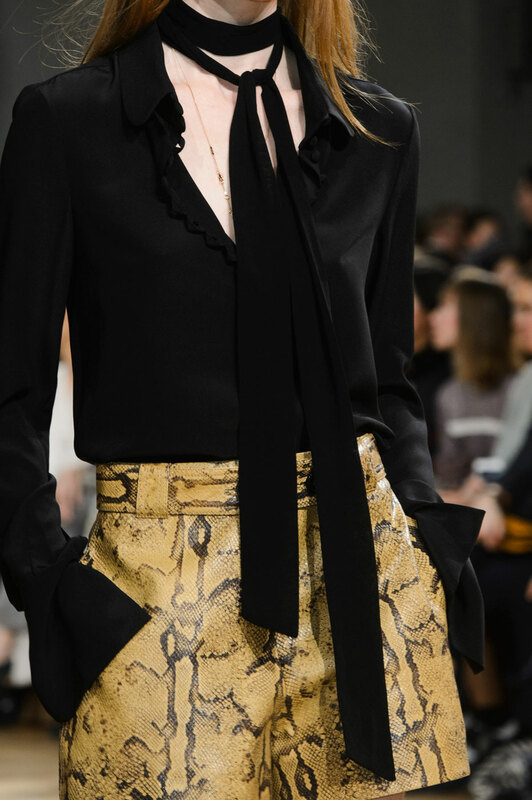 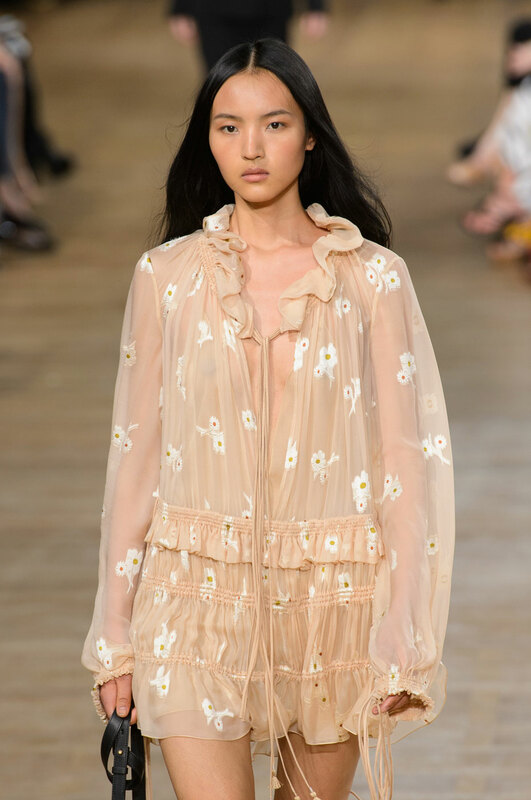 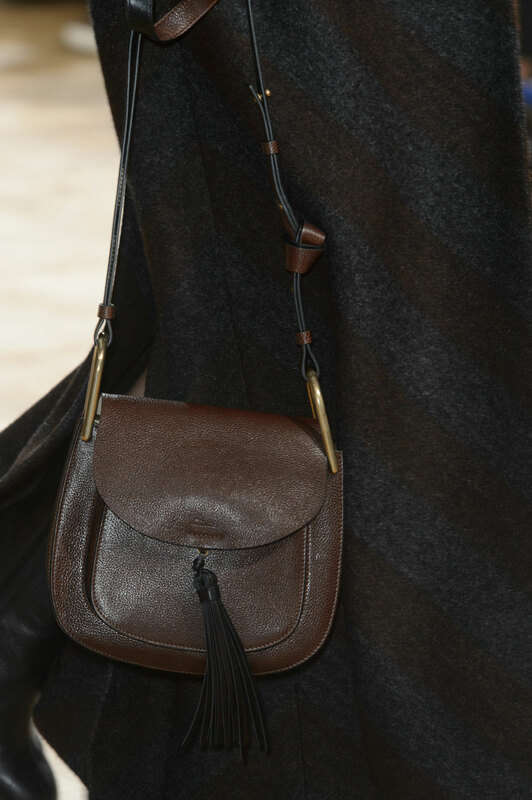 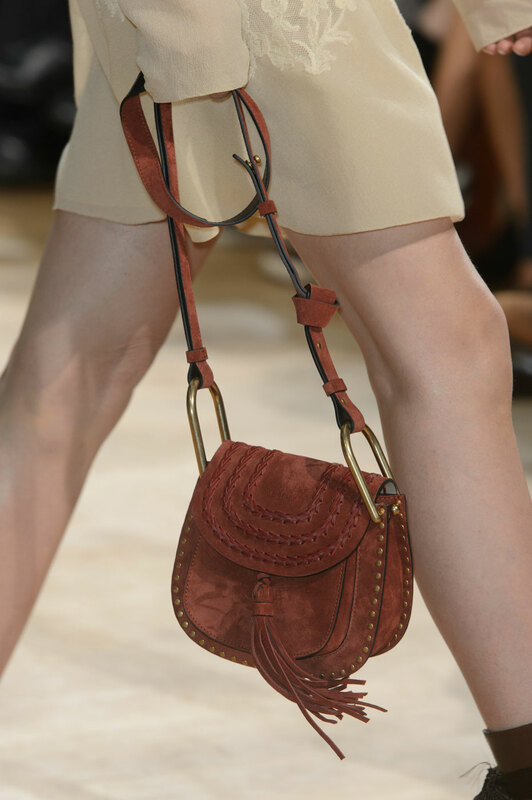 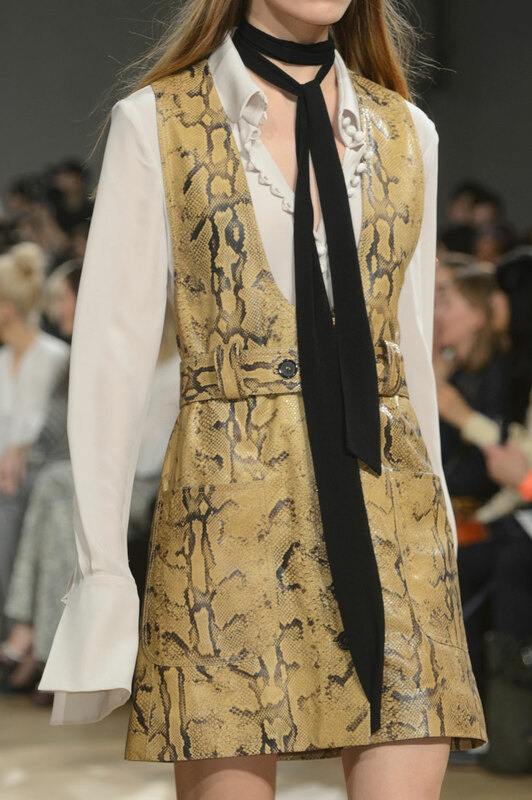 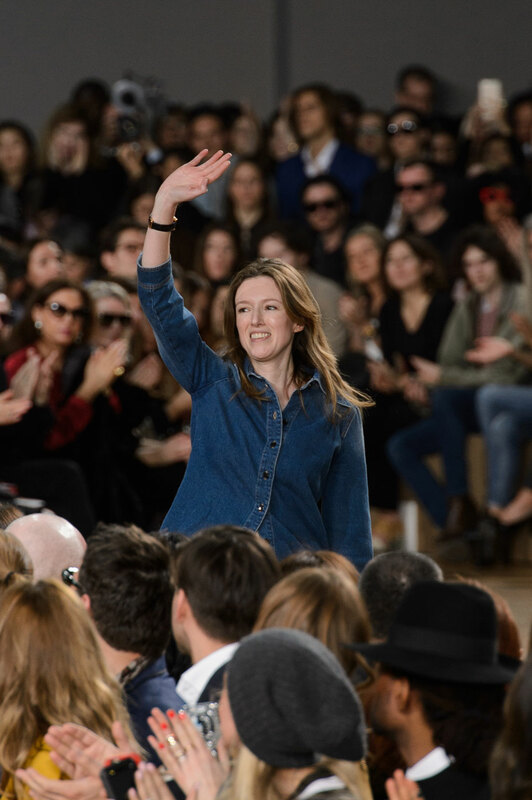 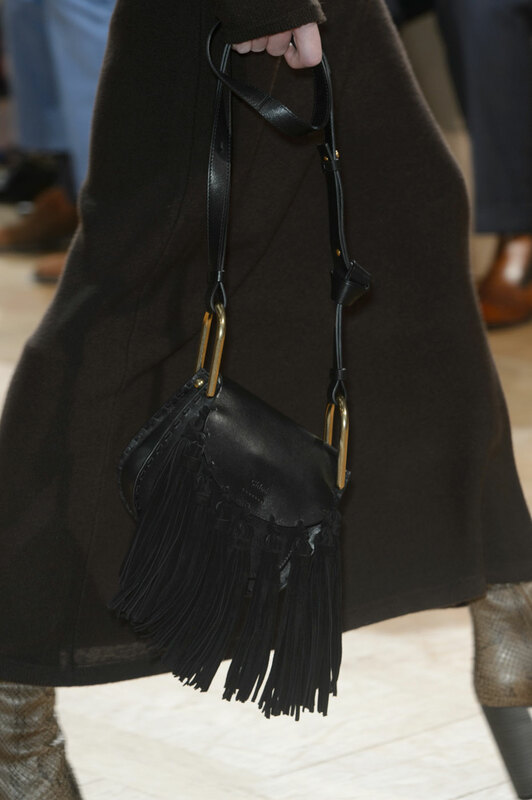 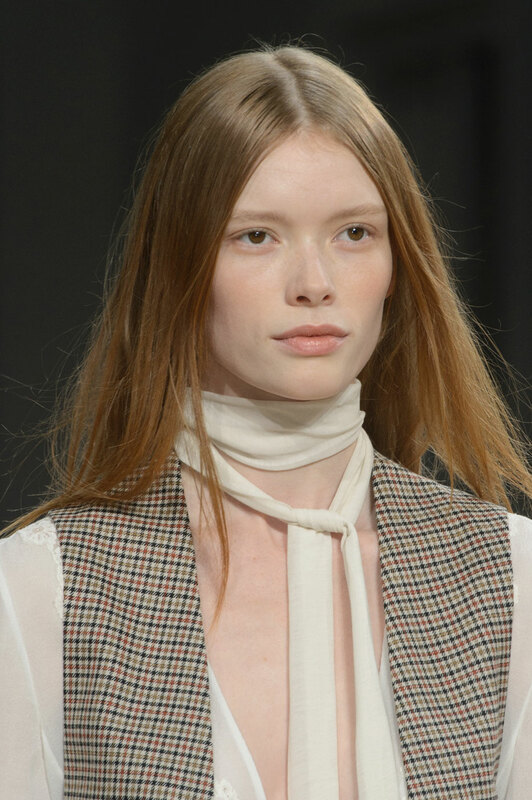 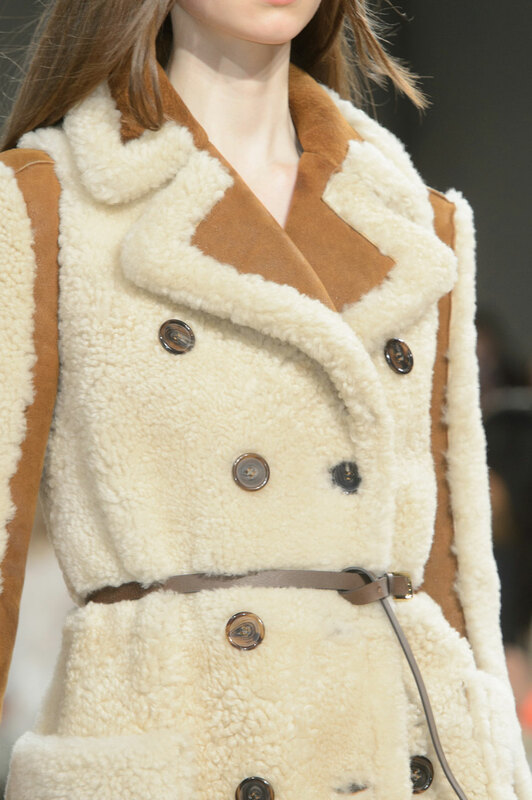 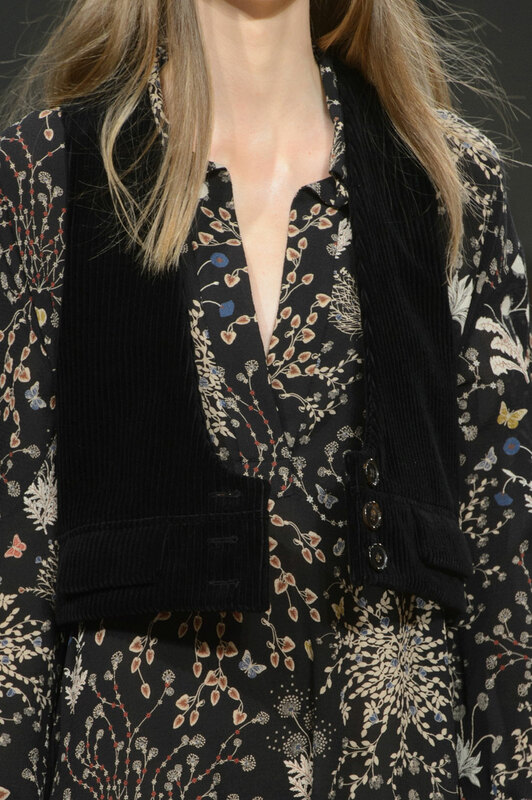 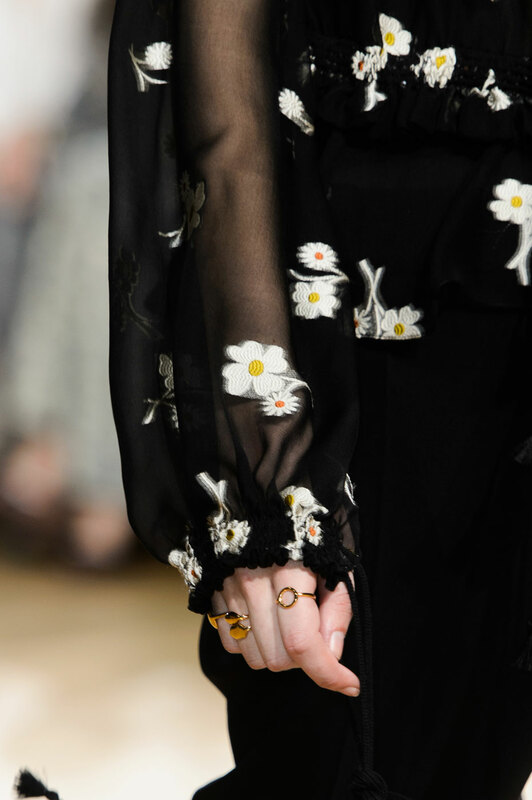 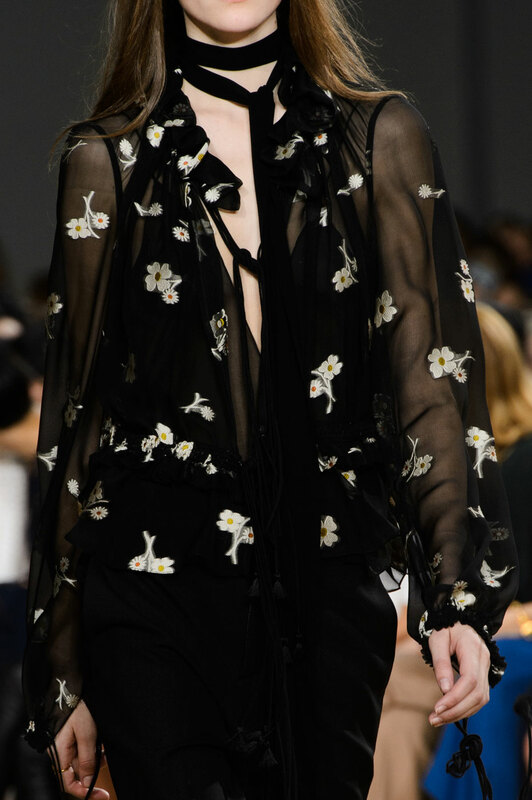 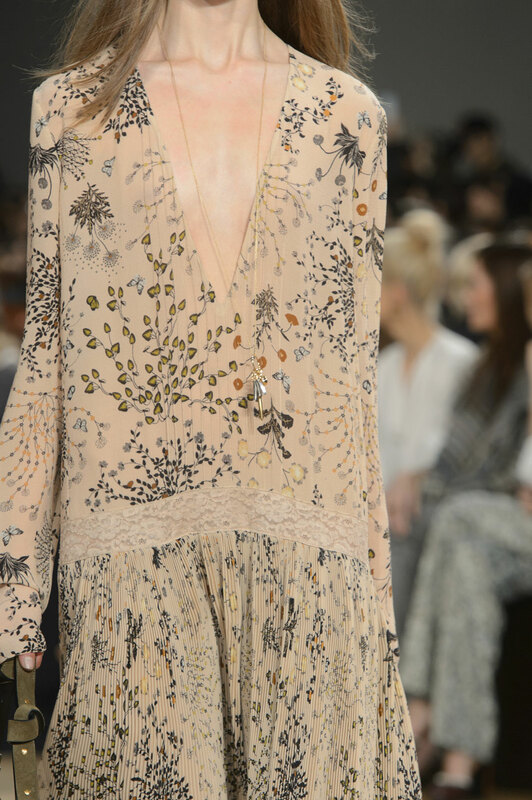 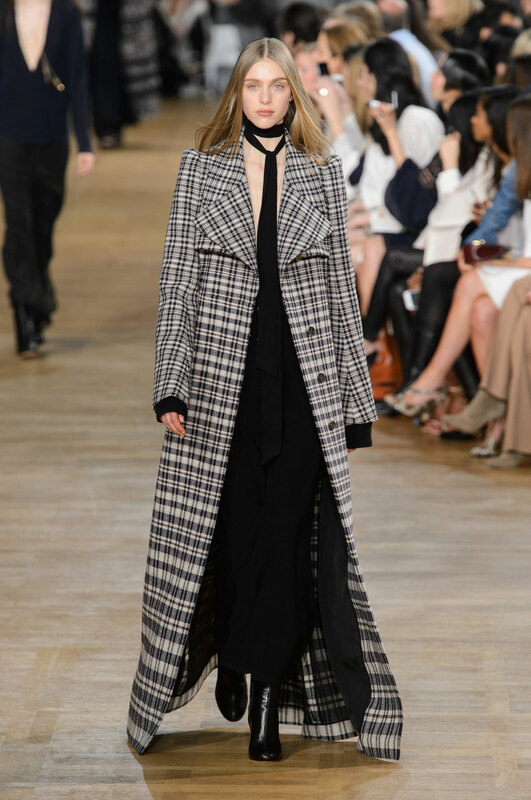 Chloé Women Autumn-Winter 2015 – At Chloé, women were being celebrated as creative director Clare Waight Keller dedicated the show to International Woman’s day, because the one thing Chloe is about, it’s embracing women’s femininity. 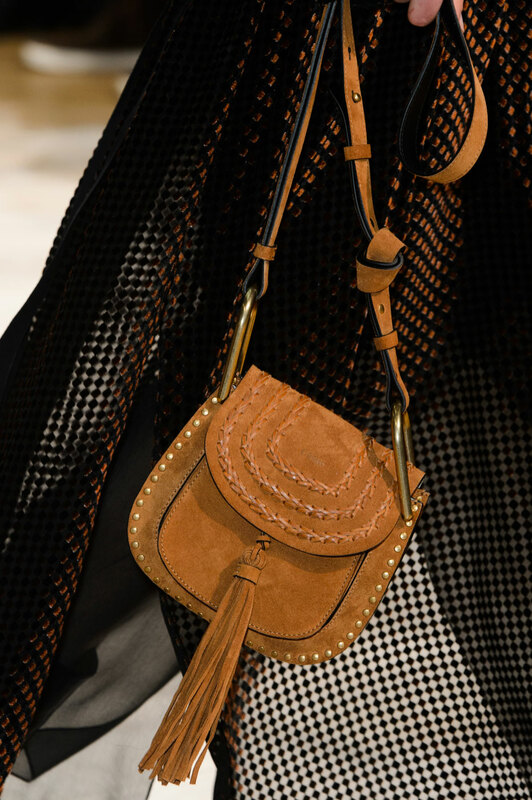 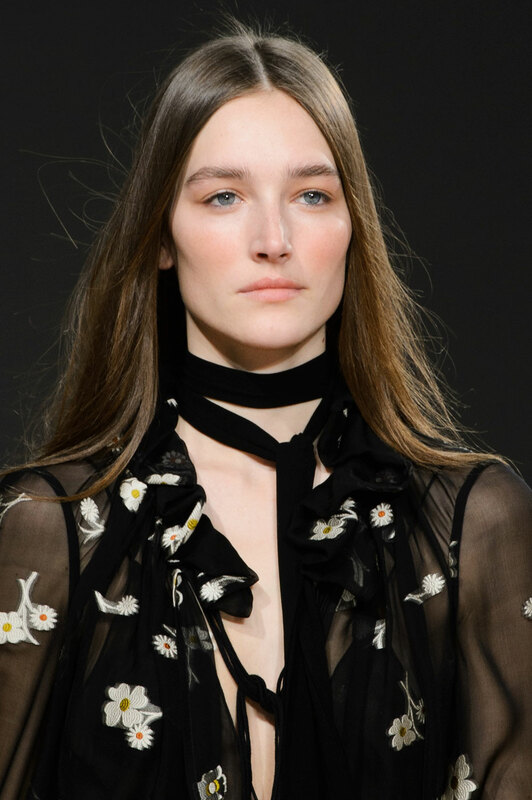 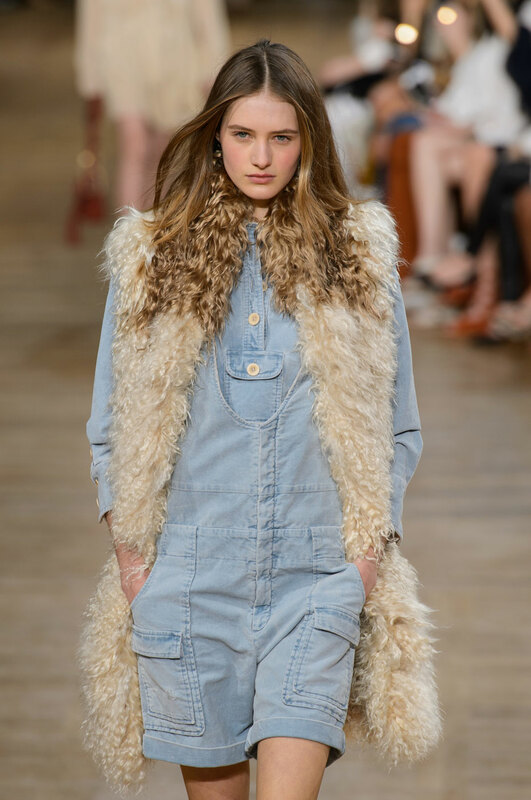 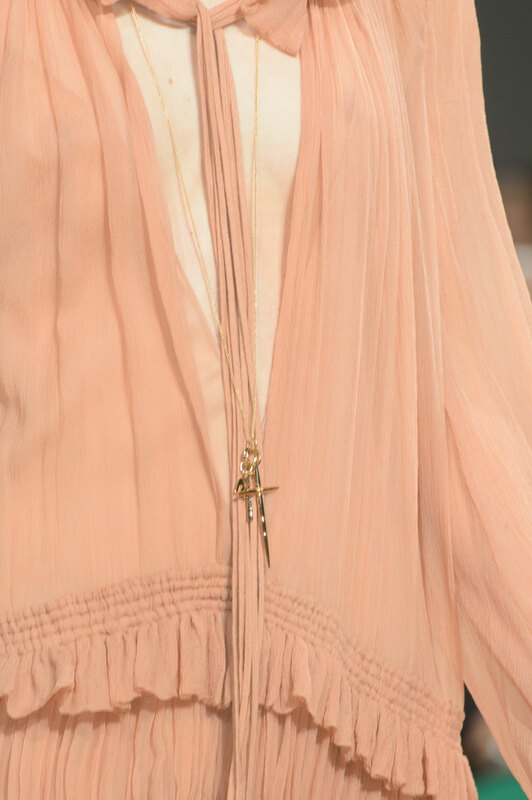 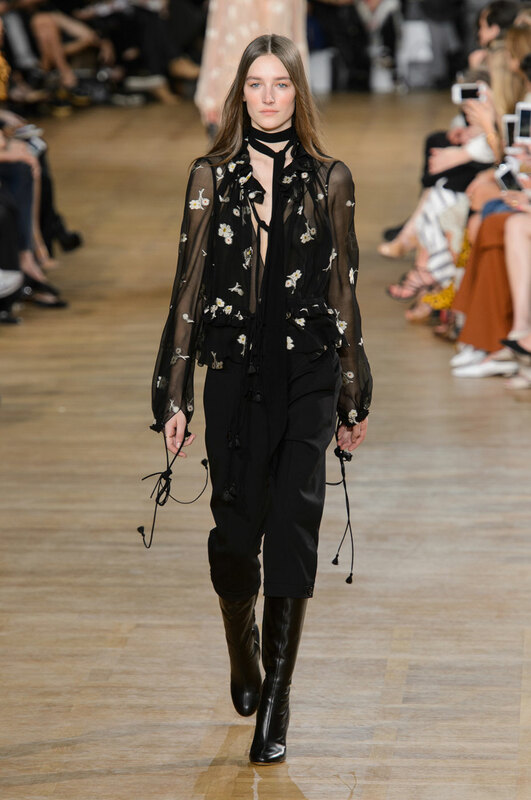 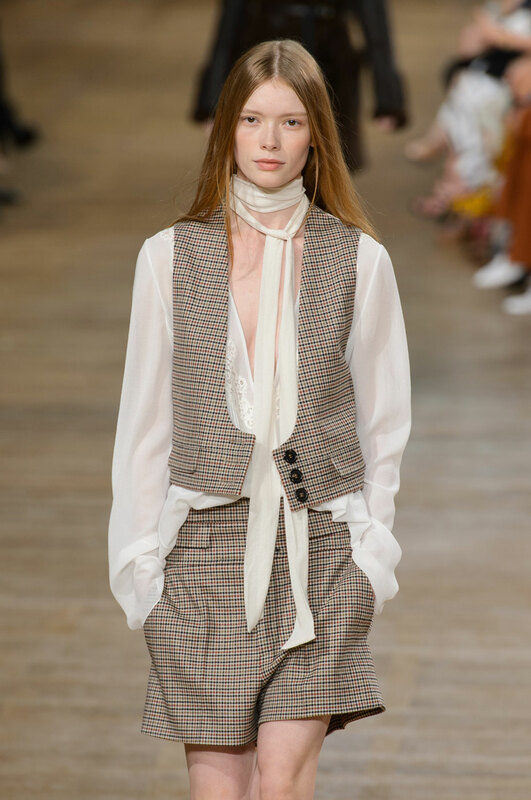 Just like we’ve seen at many other shows, this season the brand’s signature sassy femininity carried a 70s vibe in the air. 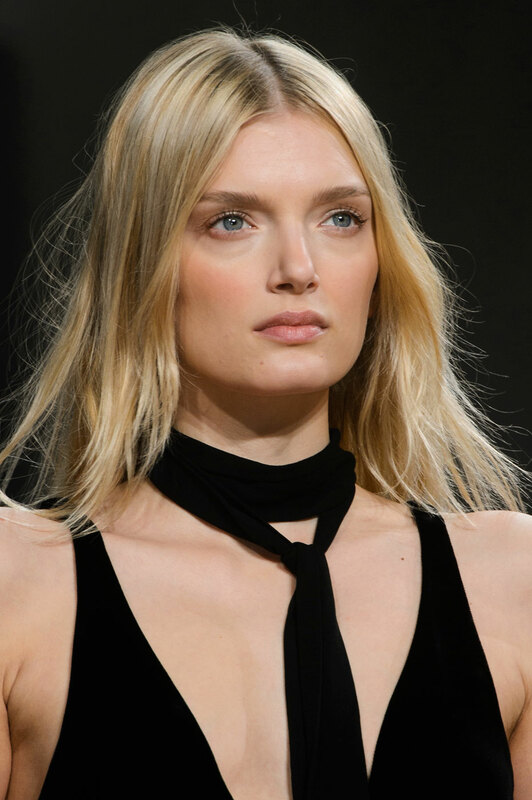 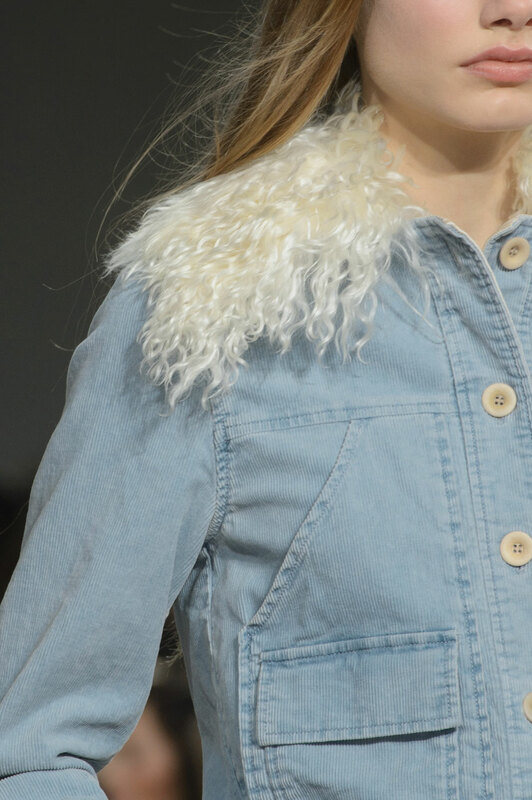 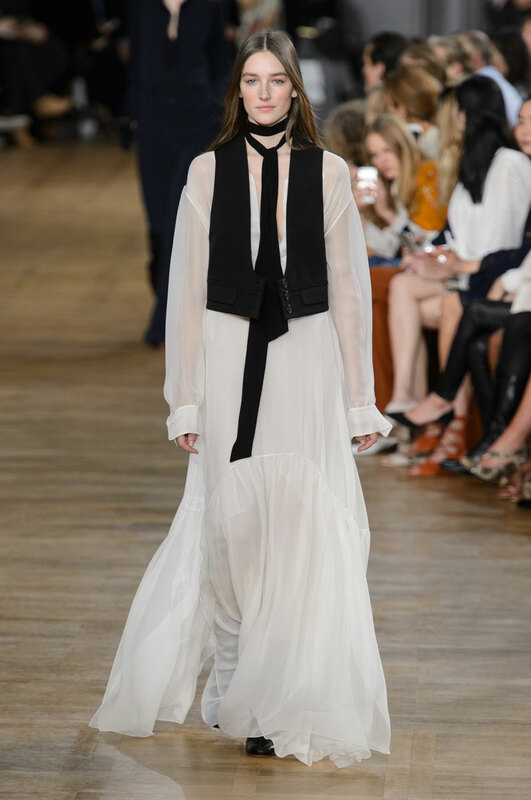 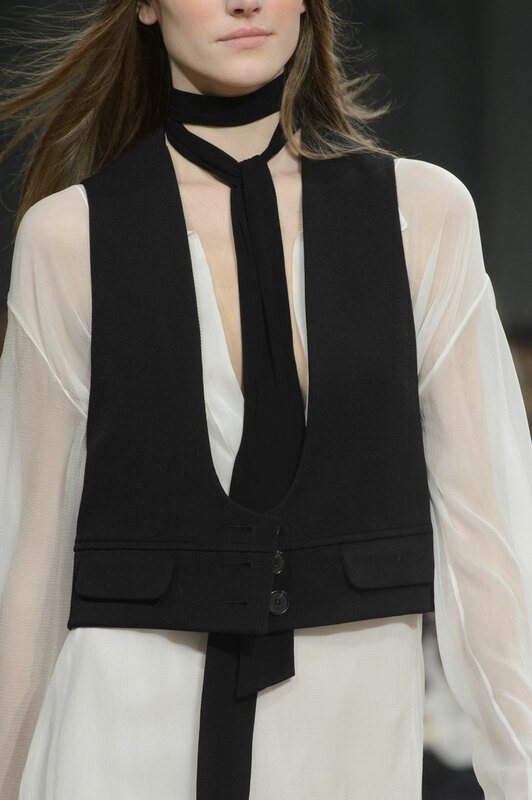 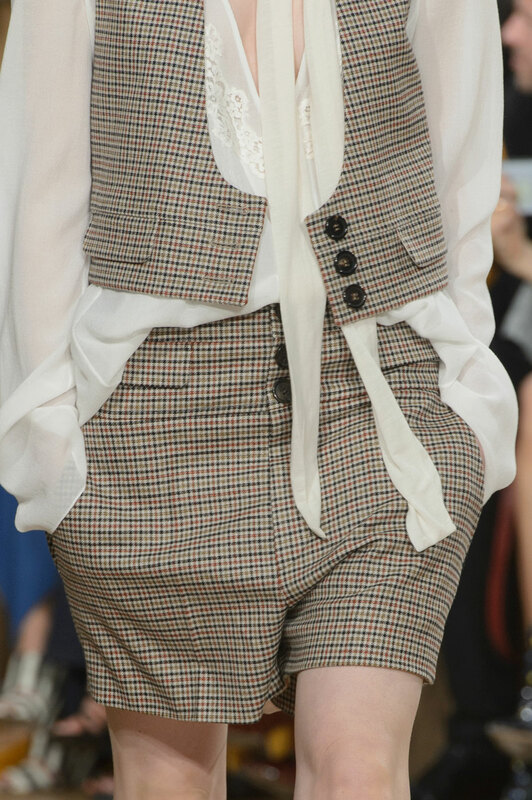 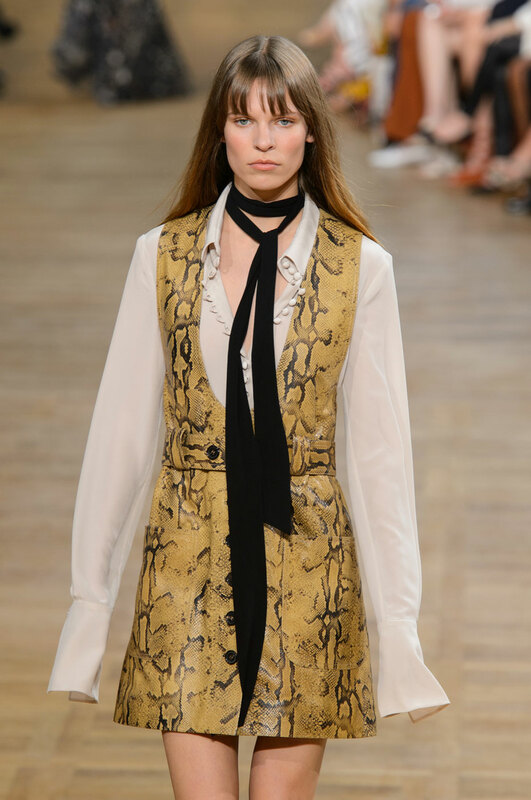 Models wore blouses with plunging necklines with skinny scarfs wrapped around the neck, shearling gilets, loose waistcoat layered over chiffon maxi dresses – 70s rocker chic. 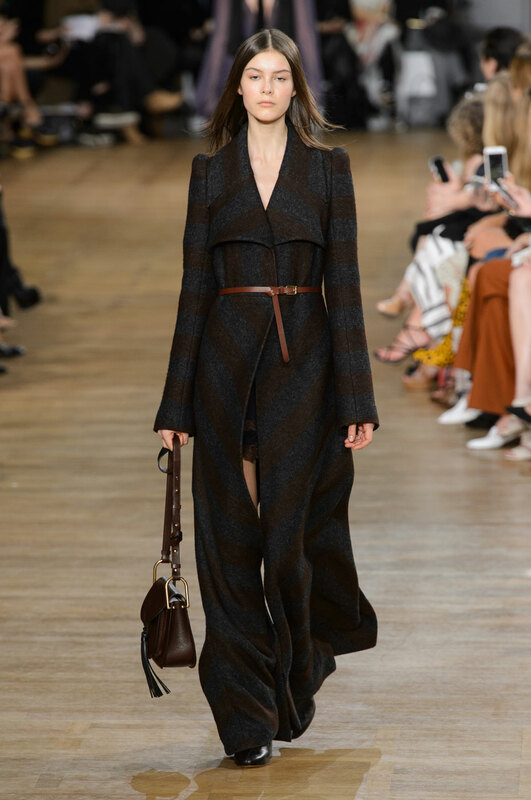 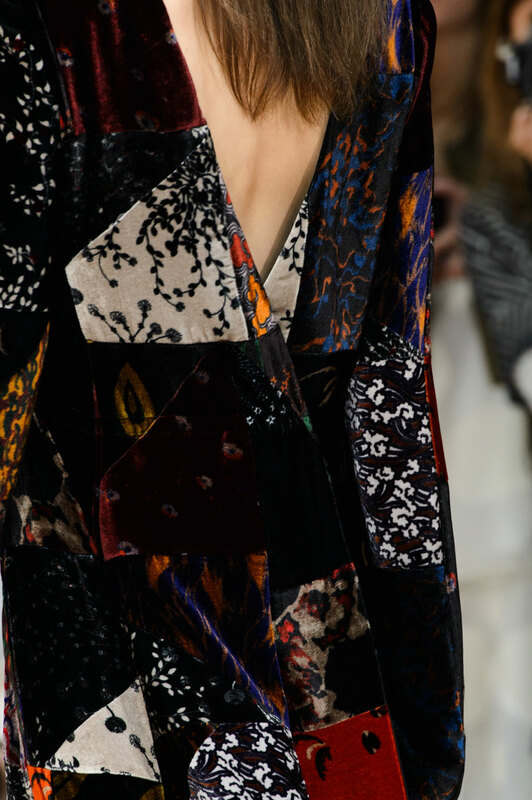 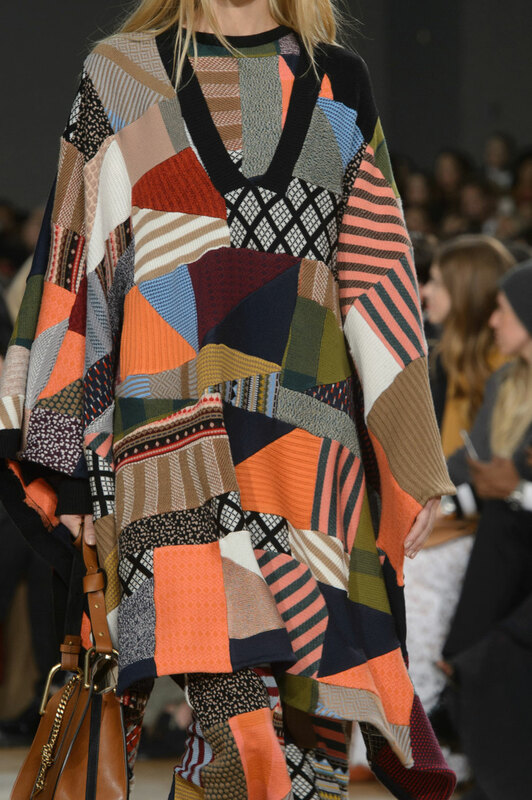 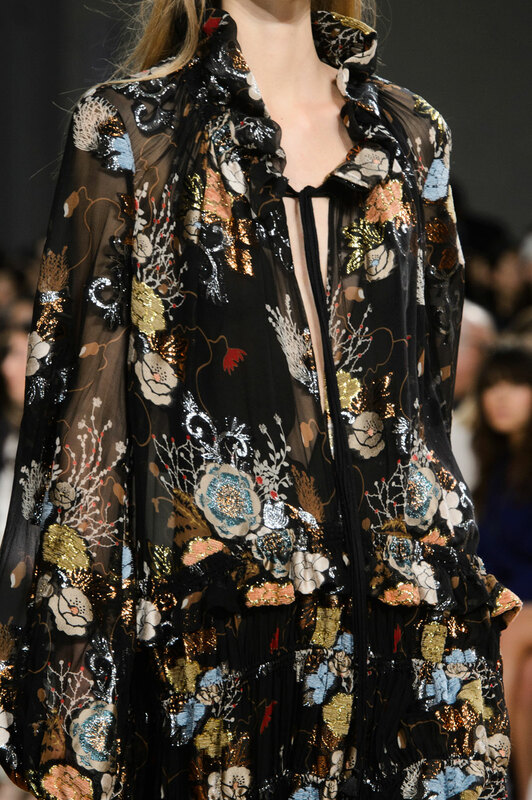 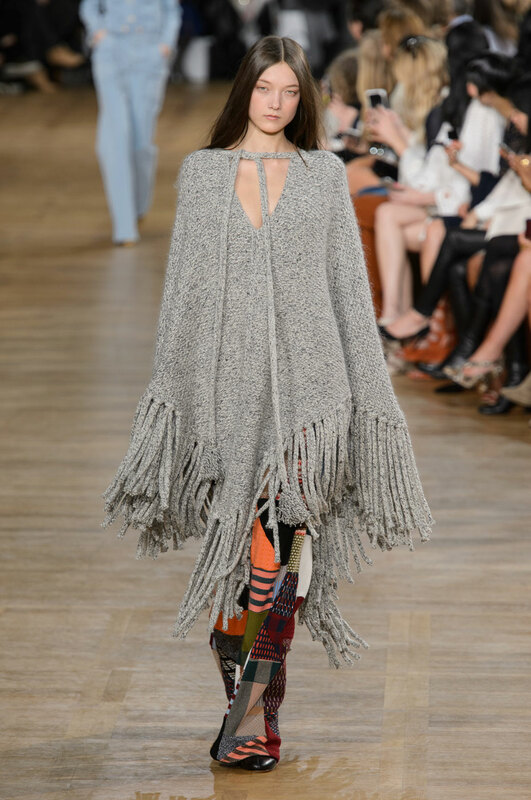 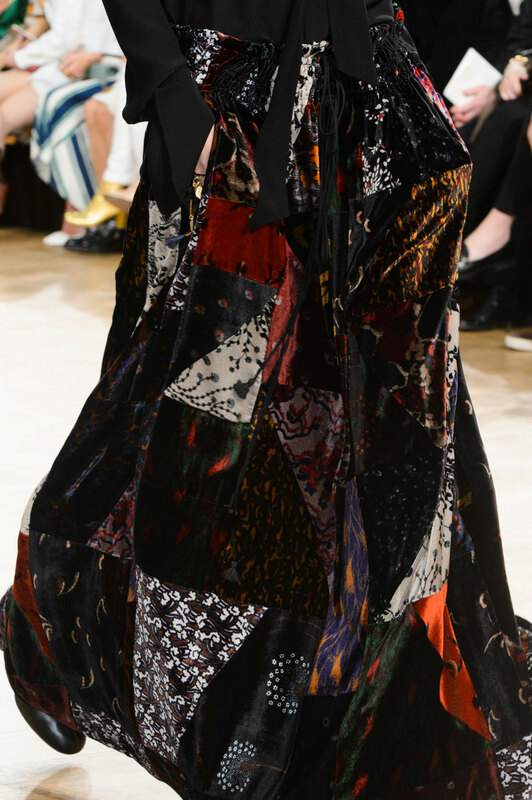 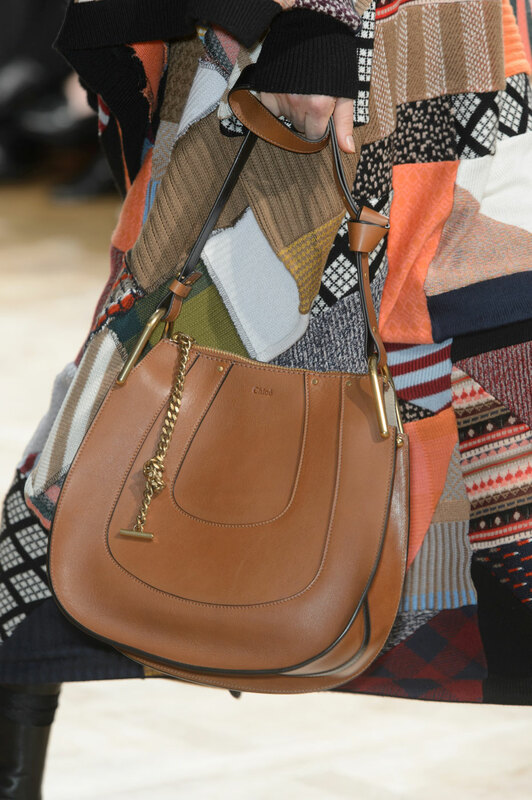 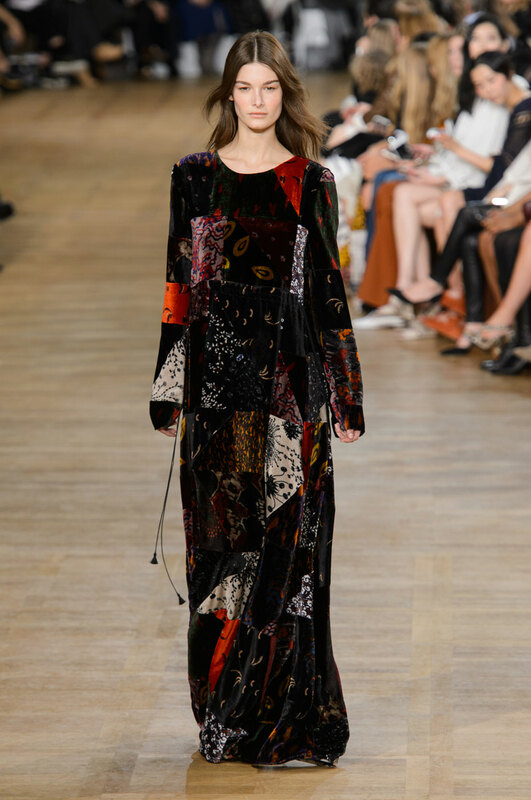 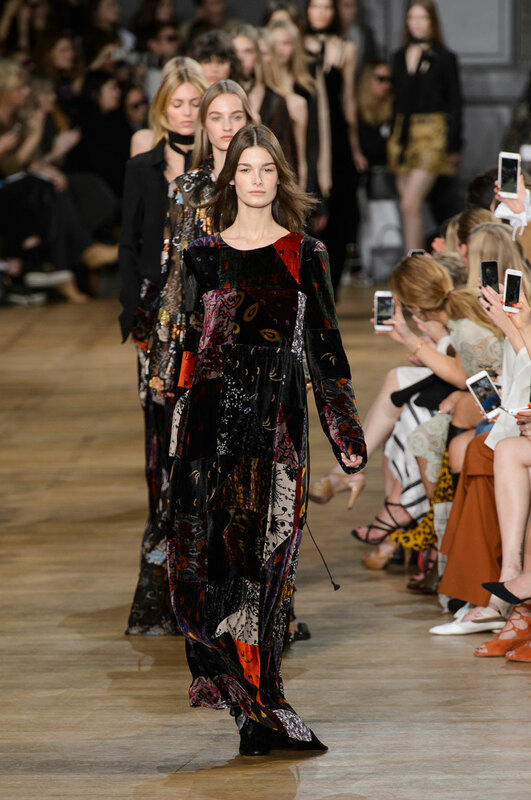 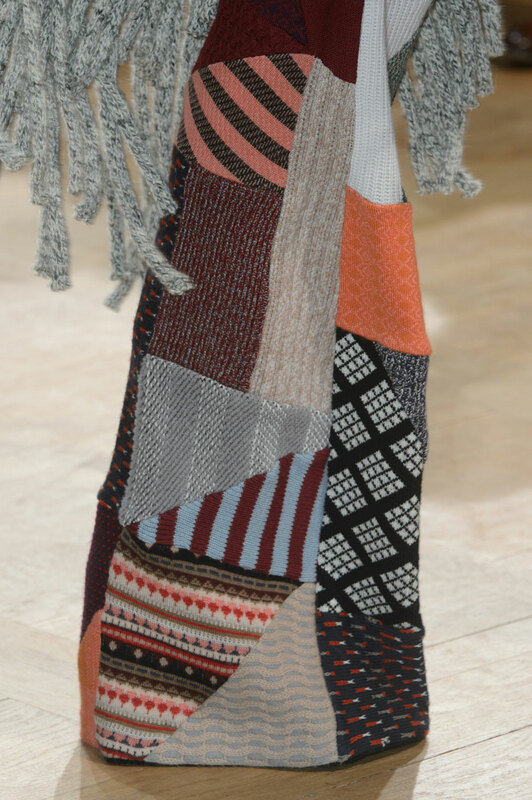 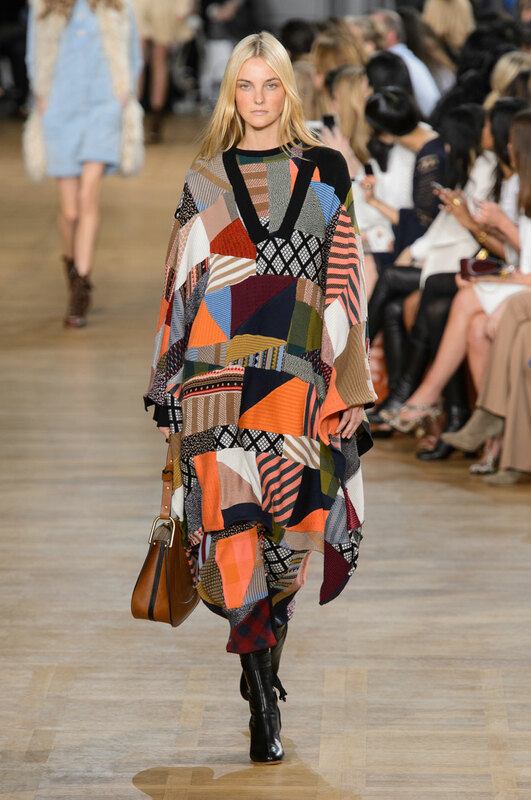 A folk inspired patchwork poncho and skirt gave the feel of a very fashionable hippy march. 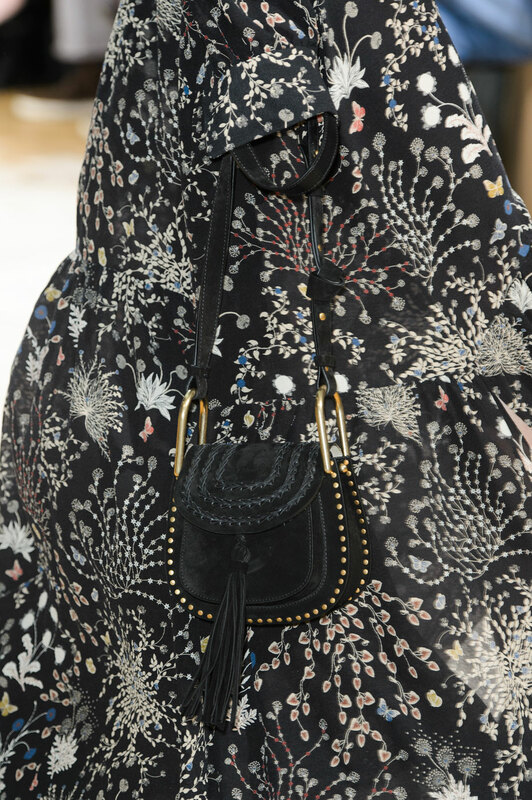 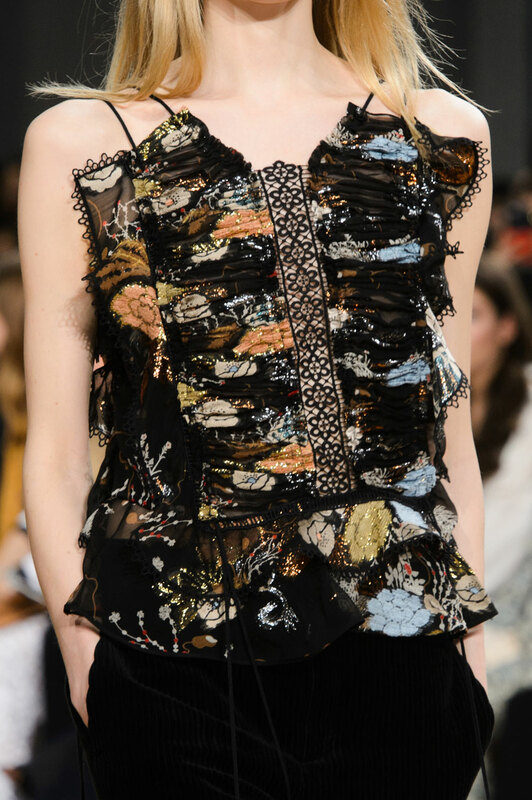 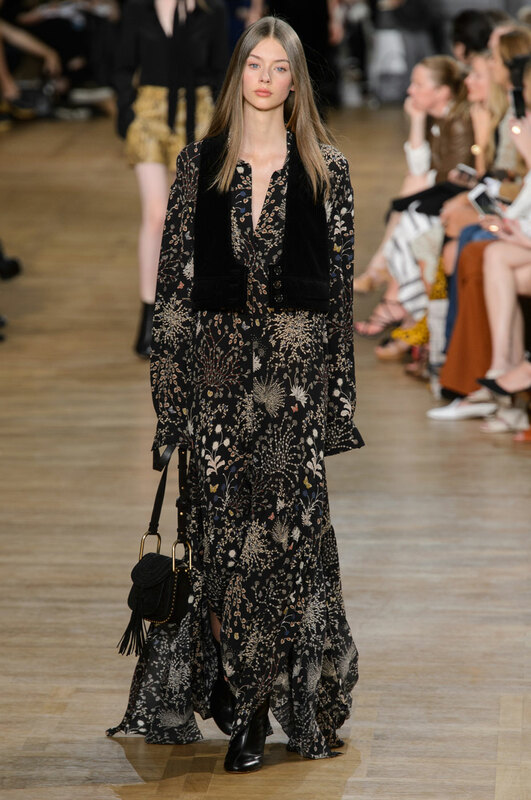 Lace, frills, tassels, corduroy and floral inspired embroidered detailing on dresses, added a bohemian and romantic vibe and relaxed the look of the collection. 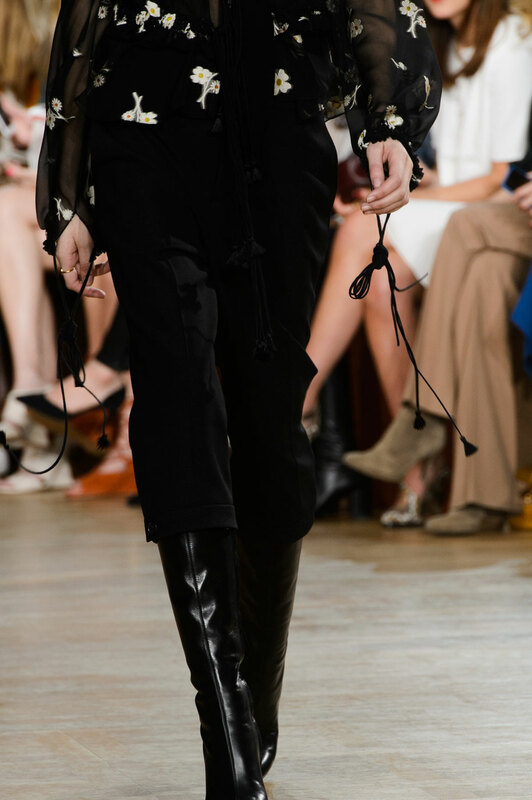 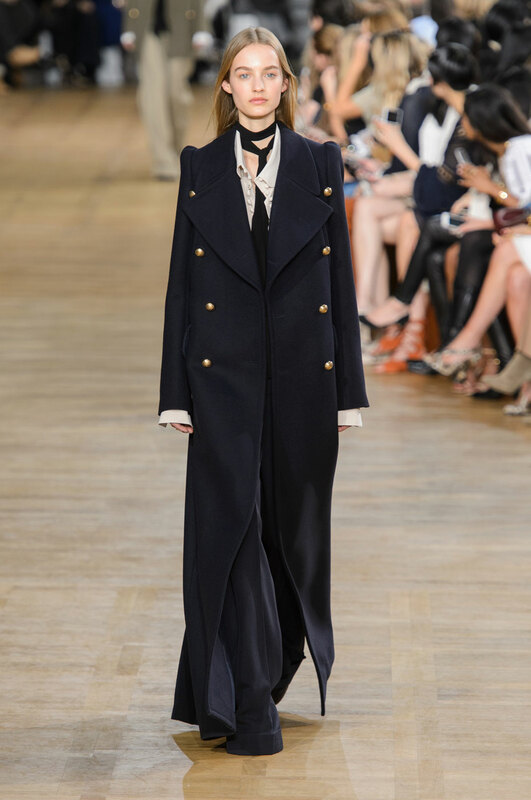 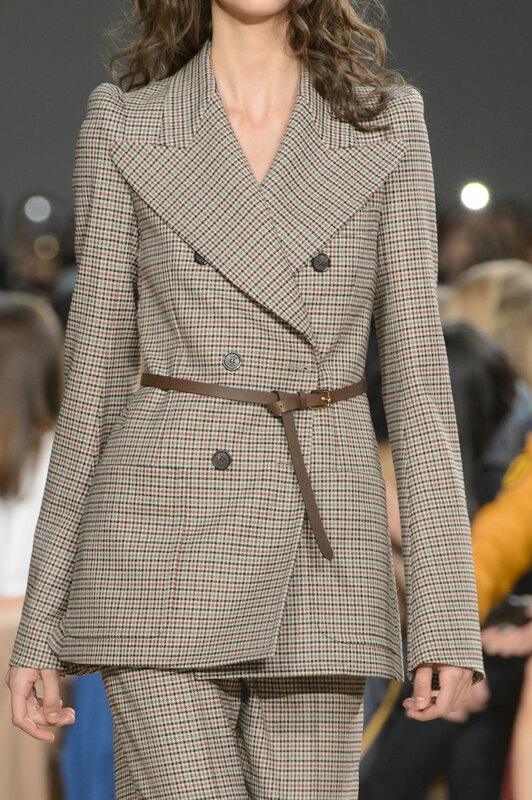 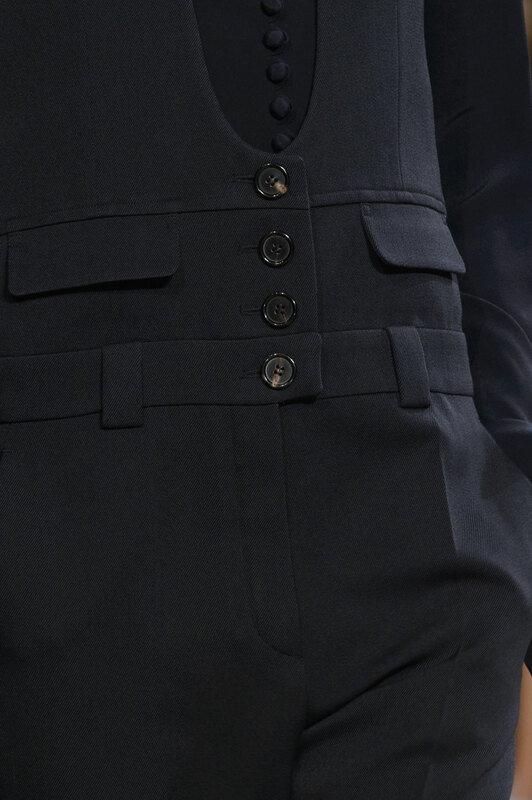 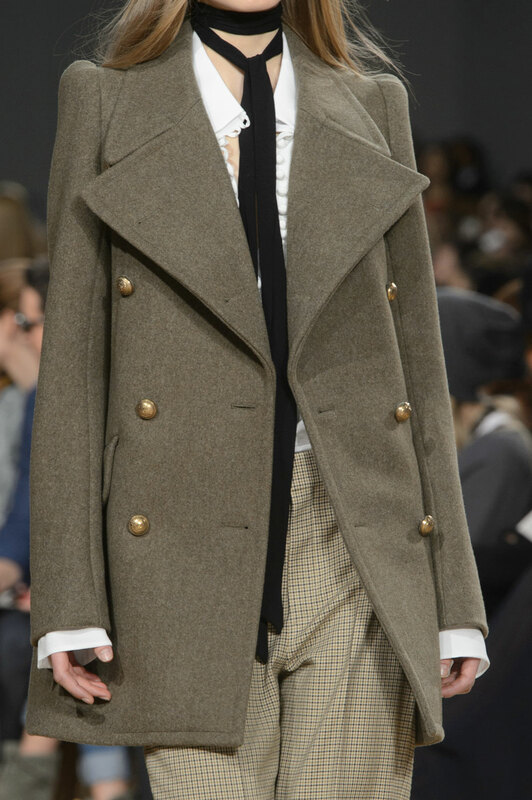 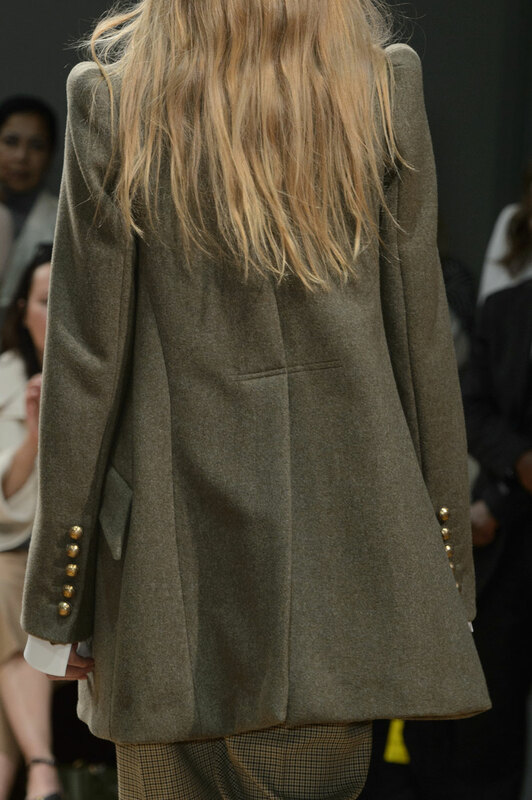 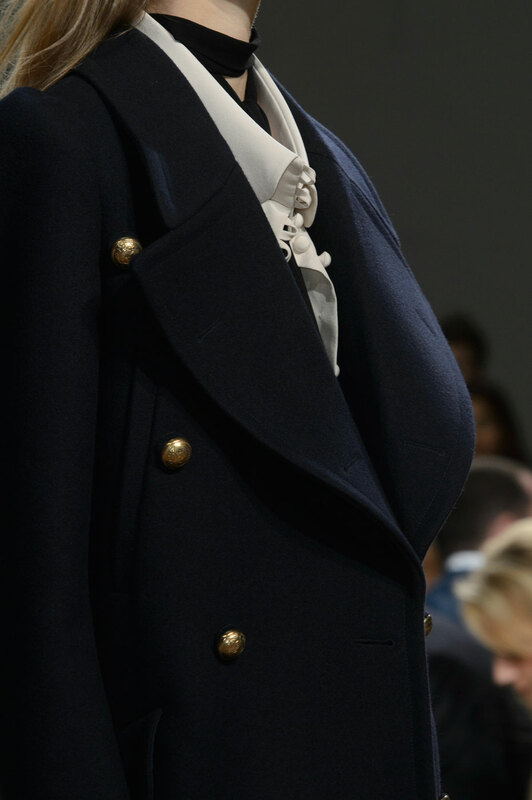 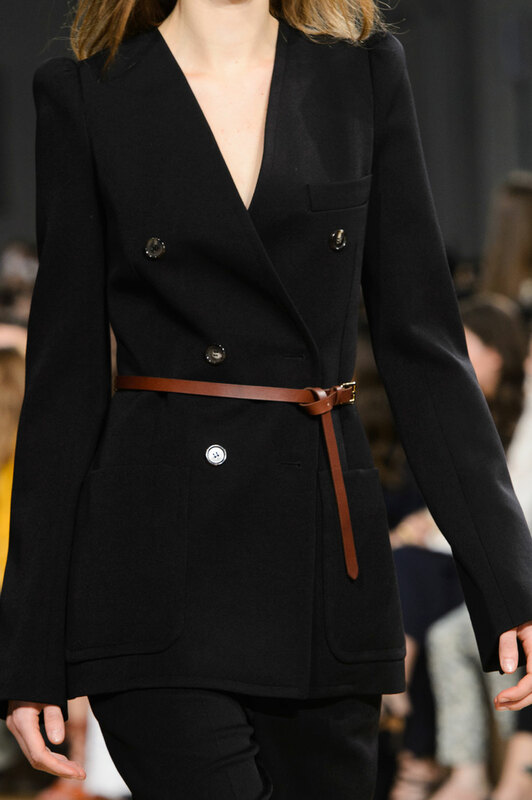 The long, military guard coats with their slightly raised and rounded shoulders with oversized lapels were a nice update on a wardrobe classic. 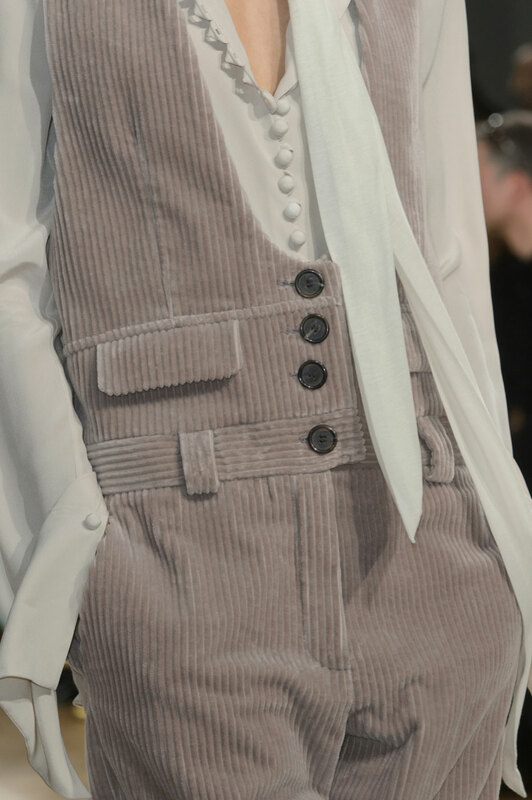 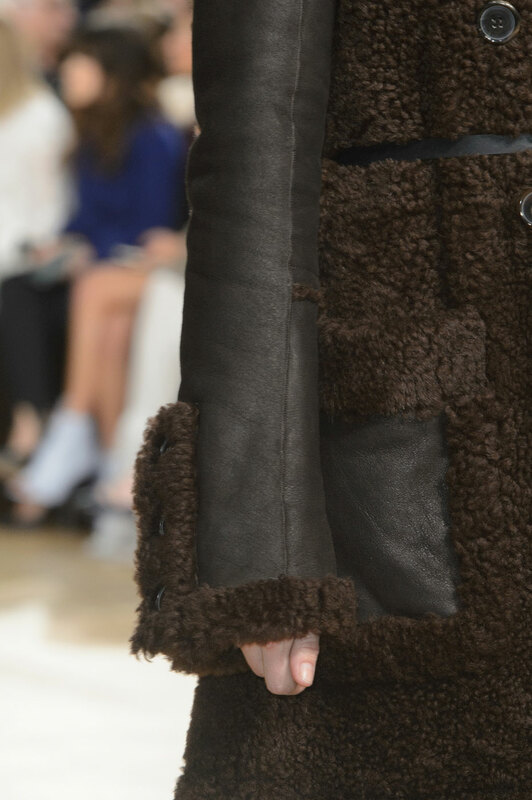 The floor sweeping mannish coats; grey fur, black and blue striped and monochrome, added structure and was a good contrast against the hippie motifs. 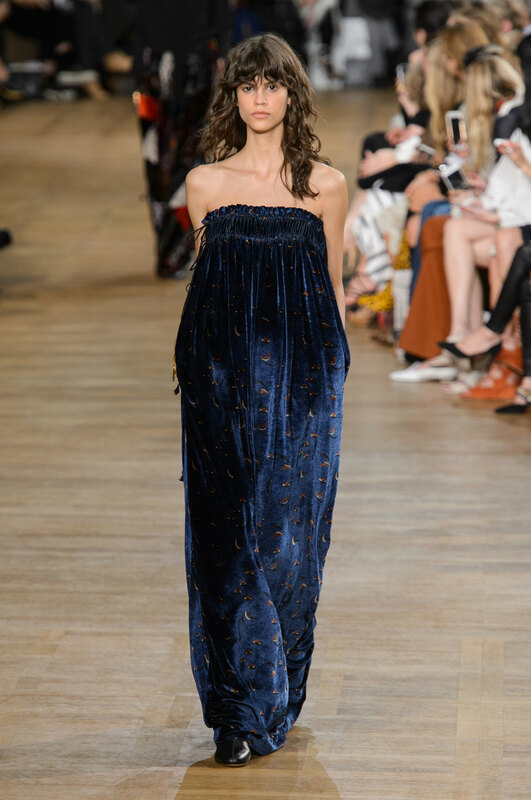 The revamped baby doll dress was charming and another roomy one cut in suede and trimmed in lace was both sweet yet strong. 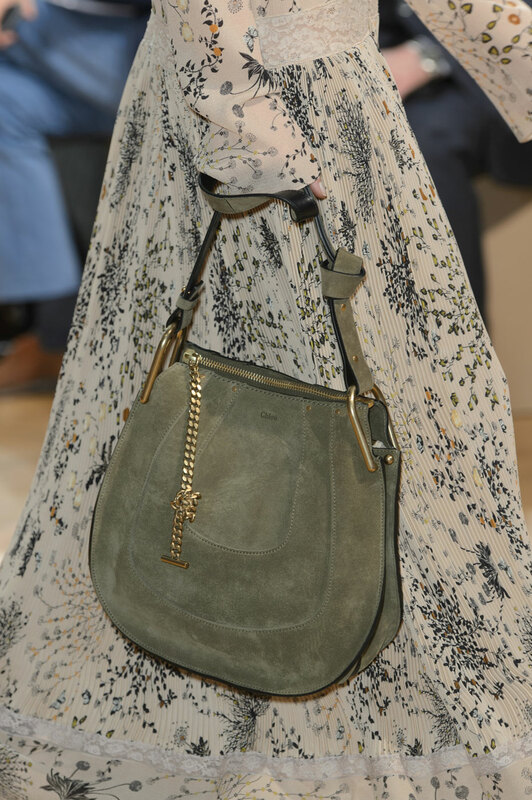 Keller captured the romantic, free-spirited side of the house, with a vibrant, enriched collection, with a design for every woman.